But there is a Biblical meditation. God has created human beings with the ability to imagine and the Bible is full of positive images and pictures that can offer us tremendous help! In fact, the frequent use of the present tense in the original languages of the Bible increases its vividness and transports us via our imagination into experiencing its actual scenes and prayers as if they’re happening now — and through the inspiration of the Holy Spirit on the Word God is indeed speaking to us now! 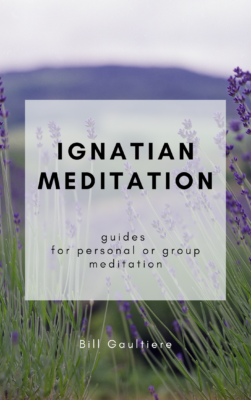 These Ignatian Meditation Guides have been field-tested in Soul Shepherding groups, spiritual direction, and retreats. They’re great for small groups, church staff or elder meetings, retreats, or private devotions. When you’re picking a meditation it’s helpful to look through our index of topics as you pray for God to guide you to the one that will be most helpful for you or your group. Does the Ignatian meditation guide have a meditation on the last supper? Which gospel is it based on? Can I download it as soon as I have purchased it? Hi Amanda, yes, there is a meditation on the last supper, based in Matthew. You’ll receive a receipt in the mail right after your purchase, with a link to the download. If you run into any issues, email admin@soulshepherding.org.